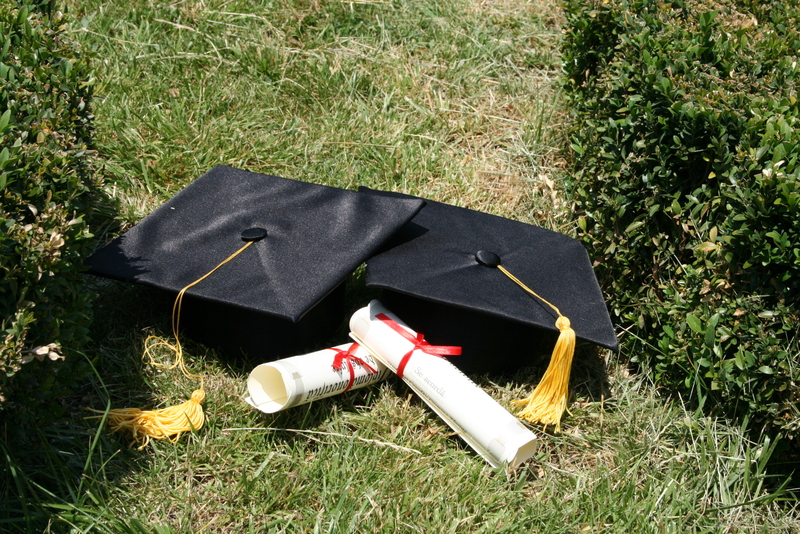 A graduation of high school, college, an academy, or trade school is a huge event. You want to be sure that your graduation invitations grab the eyes of those you are inviting, help them to remember the event, and help them to remember you. The invitation will serve not only as a way to allow guests to share in your achievements, but also as a way to politely hint at them to send gifts, right? They can even serve as a keepsake of the event. The only problem – all your friends are sending out invitations at the exact same time. You have to stand out, so how do you make graduation invitations your own? Adding personalized address labels. Not only will attendees know who sent the invitation, but they will also know where to send RSVP cards or gifts if they can’t attend, but still want to say congratulations. Address labels are quick, easy, and cheap to make at home with just a computer, printer, and store bought labels, or even online templates. Using online services. Professional online services for producing graduation invitations can include address labels, stickers, photos, name cards, and more. Many of these services offer special packages, deals, or may even offer coupons around graduation time. Keep your eyes peeled. Ordering online is easier and more convenient (and, often times, cheaper) than seeking out a stationery store or specialty shop. Pick special colors and envelopes! Don’t just send your invitation on drab, cream colored stationery or in a white envelope. Adding a fun, bright envelope, or designing an invitation with coordinated colors that pop help a graduate to express their joy, their personality, and to catch the eyes of the guests they happen to be inviting. With all the junk that comes in the mailbox, catching the eye right off the bat will ensure a quick open. Ask professional services about including school crests or custom etchings on your invitations. Even the most basic invitation companies now offer these services. If you are not sure the company you want to purchase your invitations from offers fun colors, photos, or name cards, this may be a simply way to customize invitations as the company will do it for you. Some companies have help and advice available for free to anyone needing some expert guidance. Make announcements yourself on the computer. You can now purchase special programs, or even use programs like Photoshop or a photo editor to easily make your own invitations. Making your own invitations and envelopes may mean you can personalize them based upon each recipient, and means that no one will have invitations quite like yours. Or, you can make a personalized invitation, then print off as many copies as you need. In many cases, this option may offer a good alternative to purchasing invitations from a professional service. The disadvantage of making your own announcements is that it will take longer, cost more, and you might get more frustrated with the results. Let’s be real, sending out graduation invitations is a point of parental pride. You get to announce to all your friends and family the achievements of your son or daughter, and show off their new milestone. The best part about invitations isn’t the RSVP, it’s the phone call you will recieve, offering you the chance to boast. Come on, proud mama (or papa! ), why wouldn’t you make these special and eyecatching? Especially when so many great options are available with the click of a mouse, there’s no reason not to put just a few minutes into a custom design that will get noticed. Previous Post: « What to do When You are About to Be Kicked Off of Your Parent's Insurance?